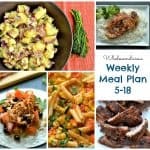 A few notes about the meals this week. -All of the meals can be prepped and cooked within a 30 minute time frame. 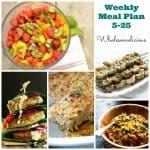 -I always include at least 1 vegetarian meal per week. If that’s not your thing, then use leftover Citrus and Thyme grilled chicken to add to the Asparagus and Sun-Dried Tomato Pasta. -I normally do not have 2 pasta meals in one week. However, if you read on my Vegetables and Noodles with Peanut & Ginger Sauce post, it was intended to be a salad until the carbivores asked for noodles. Either way it’s delicious. -The easiest meal to prep and cook will be the slow cooker beef. It will take less than 5 minutes to get ready. 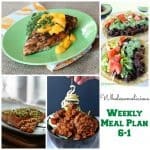 This is the my go to meal when my day is crazy (taco night is very popular). It is probably best cooked and prepared by doubling the recipe. The meat cooks more evenly with 2lbs, but note that the recipe is only written for 1lb. 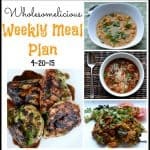 This can easily be one of your leftover meals or you can freeze the leftovers! -The most time consuming meal will probably be the grilled chicken with confetti couscous; mostly because of the grill preparation. It is also measured to serve 8 people, so it can also be one of your leftover meals for the week (or one to serve with company). 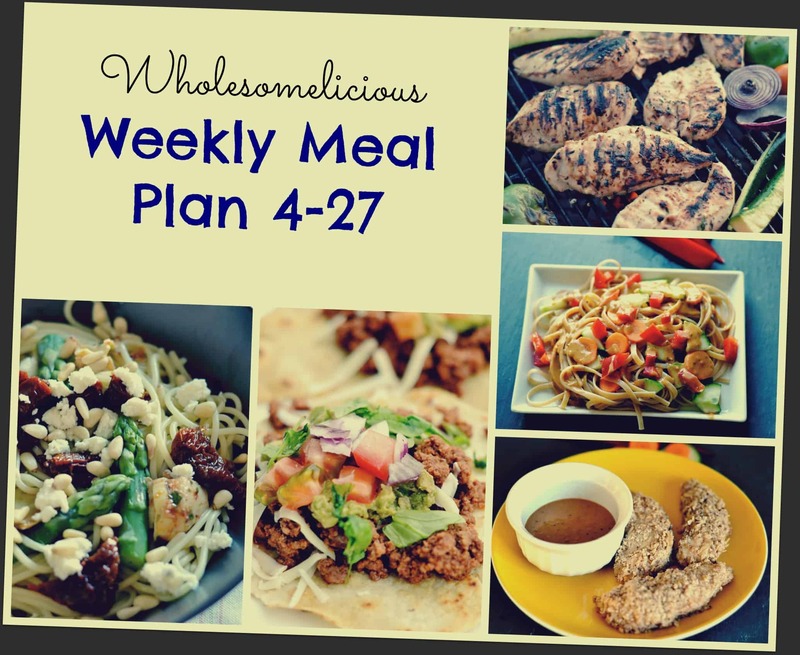 -All of the meals are Paleo and GF friendly (or have adaptations written in the recipe) with the exception of the Asparagus Pasta.